Lavender Graduation: Celebrate Your Seasons! Congratulations to all of this year’s Lavender Graduates! 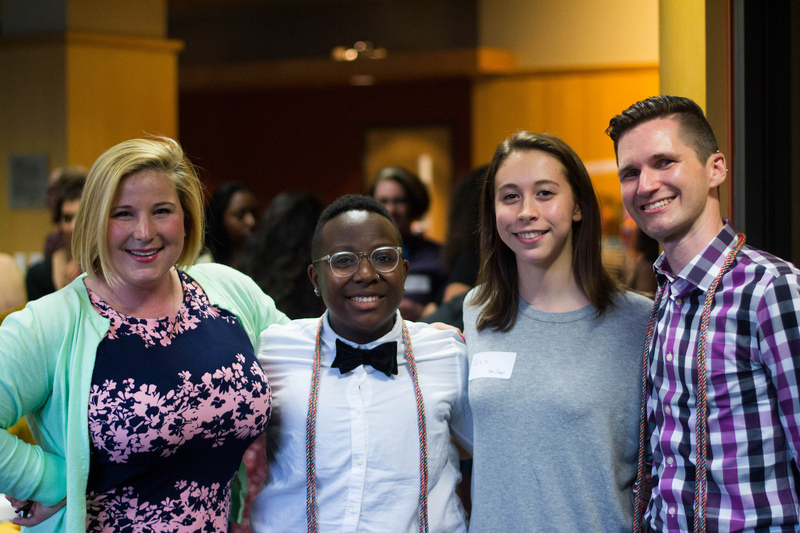 The 2017 Lavender Graduation ceremony and reception highlighted the many achievements of the graduating class of 2017, while honoring the history of the LGBTQIA+ community. This year’s theme was Celebrate Your Seasons. 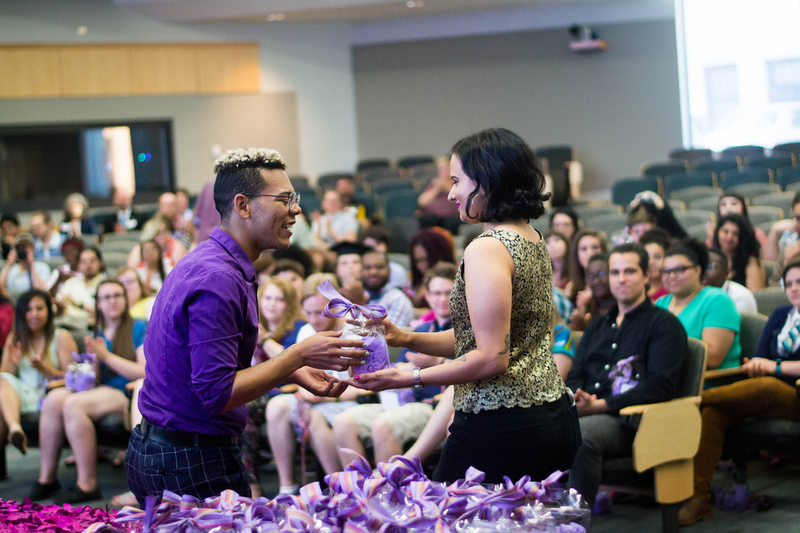 “To me, (Lavender Graduation) means representation, it means having an LGBTQIA+ family and it means getting a fabulous rainbow cord and celebrating my queerness,” Kaylin Tingle, graduating Masters of Social Work student and LGBTQIA+ Violence Prevention Specialist and Advocate at The Well, said. 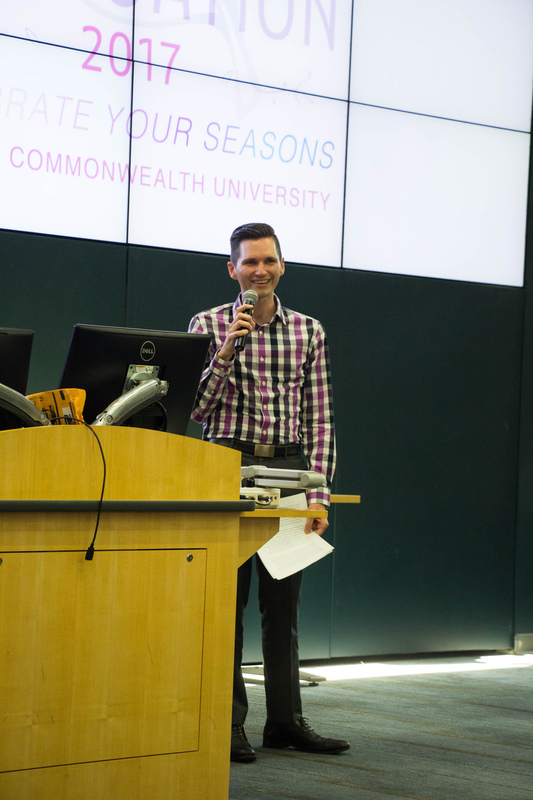 The keynote speaker for th is year’s ceremony was Dr. Jeremy Kidd, whose LGBTQIA+ activism dates back to his days as an undergraduate and medical student at VCU. In 2003, he founded the student organization Queer Action and campaigned to create a LGBTQIA+ Resource Center, expand VCU’s non-discrimination policy to include transgender people and establish the first iteration of a LGBTQIA+ alumni chapter. Dr. Kidd’s work at VCU is still making an important impact in the lives of LGBTQIA+ students 11 years later. Student organizations and the Office of Multicultural Student Affairs (OMSA) offer students safe spaces around campus to feel included and at home. “My time at VCU has been really wonderful. It has been diverse and I’ve always felt included. Programs like (Lavender Graduation) make me feel even more included on campus. So I am definitely glad that they have opportunities like this,” Shikim Greene, graduating sociology student, said. A big thank you to the Lavender Graduation committee, sponsors and allied partners for their continued involvement and support throughout the planning process. “VCU has been one of the toughest, wildest, most thrilling experiences of my life. I think it definitely made me a better advocate and it made me learn that I can make a difference in the world around me, both on campus and off campus,” Brittney Maddox, graduating gender, sexuality and women’s studies student, said. Best wishes to all the Lavender Graduates; we cannot wait to see how you celebrate your seasons! Check out the Commons Flickr page for more pictures from Lavender Graduation.